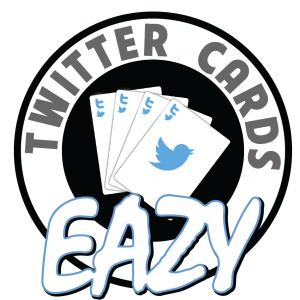 Eazy Twitter Cards is a WordPress plugin that extends the Advanced Custom Fields plugin to include custom fields for Twitter Card metadata on posts. 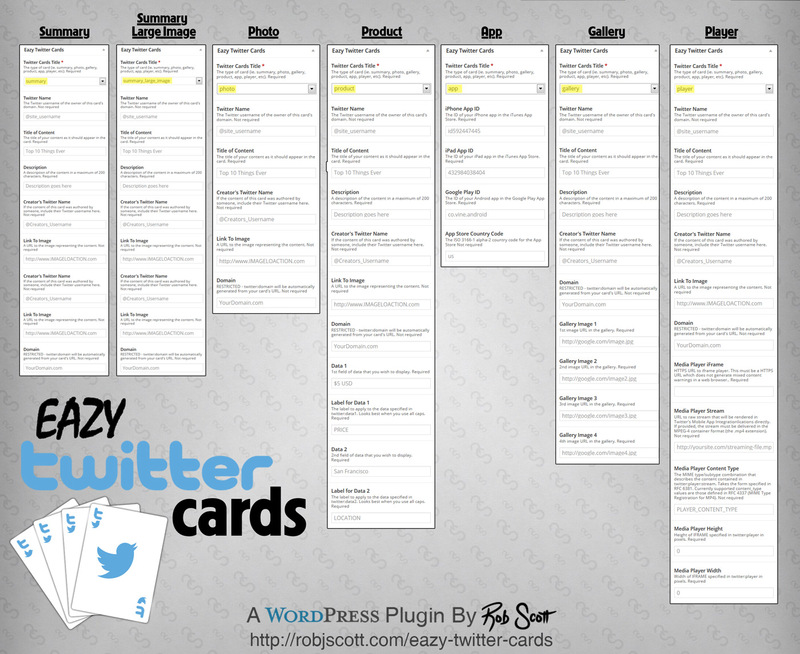 You can now easily add information to populate the Twitter Cards you desire including: Summary, Summary Large Image, Photo, Product, App, Gallery & Player. Getting active engagement for your content through social media channels can be one of the most challenging aspects of running your website. Tweets with Twitter Card metadata are much more likely to get clicked on and viewed than tweets without the metadata. 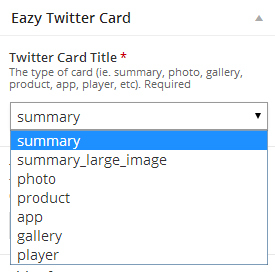 Eazy Twitter Cards gives you the option to select the type of Twitter Card you want to create, and then provides you with the custom fields to add the proper metadata for your selected card type. 5. Verify Twitter Card with the Twitter Card Validator. 6. If the Twitter Validator asks to validate your account, follow the steps provided by Twitter.